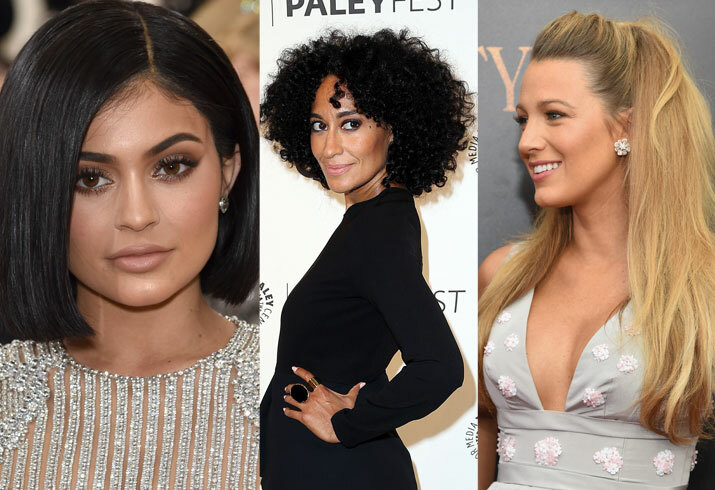 Which celebrities had the best hair of 2016? Kylie Jenner won the Met Gala with her blunt cut. Blake Lively's romantic updo highlighted her bright smile. Walking Dead star Danai Gurira kept her style short and very sweet. Demi Moore's long, loose waves were downright dreamy. Tracee Ellis Ross inspired hair envy with her voluminous curls. Zendaya's faux bob was a huge hit.